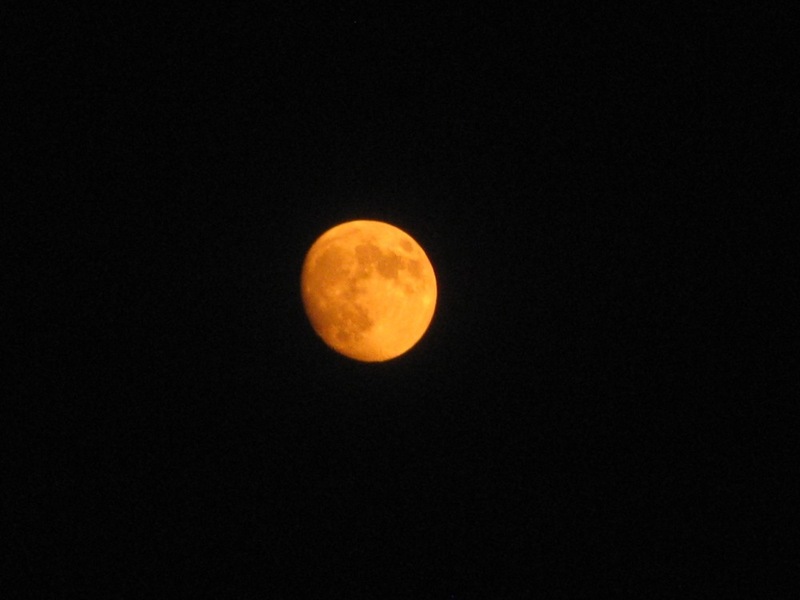 Orange Moon in Los Angeles _REALLY! This has NOT been color corrected in any way. I just snapped this photo with my hand held digital camera. The smoke in the air from the Los Angeles fires have created a unique site.